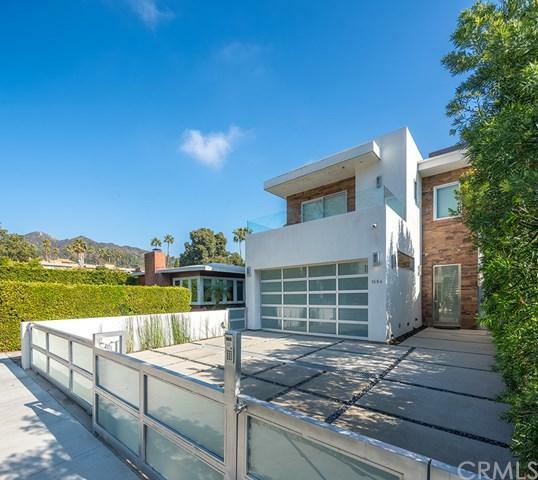 This contemporary style single family residence is located in the heart of Hollywood. It boasts a wide-open floorpan with marble flooring, fireplace, dinning room, Miele gourmet kitchen, top-line appliances. Floor to Ceiling glass walls enclose the backside of the home simultaneously welcoming sunlight and offering the bright and airy views to the oasis backyard-the pool with waterfalls, hot tub, and sun deck. Huge master suite with enormous walk-in closet, SPA-like bathroom with steam shower. It's prewired for smart home system and automated shades. The second floor has a loft space and all the bedrooms are with their own baths. The breathtaking roof-top is the perfect place for a party with its' own fireplace. Sold by Mary Fitzgerald of The Oppenheim Group.